Has soup season arrived where you are? A little pasta with beans history! 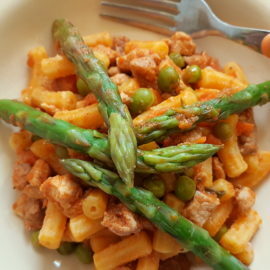 Legend has it that the original recipe was born in the inns of ancient Rome as a cheap, nutritious and tasty dish suitable to feed the many different inn customers. It later became popular with the rural population as it could be made with their own home produce. 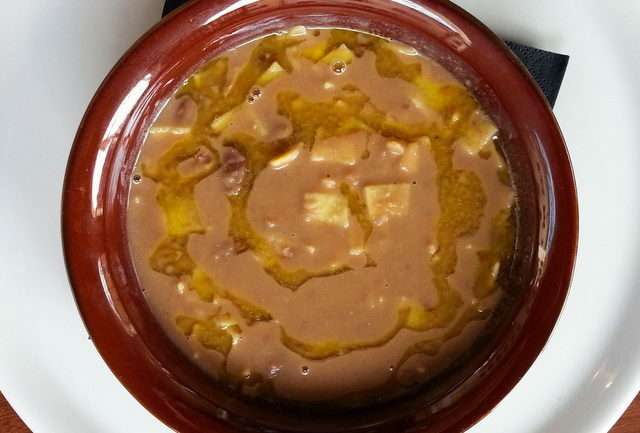 In Veneto it became a traditional Autumn soup as this was the time of year families slaughtered pigs. 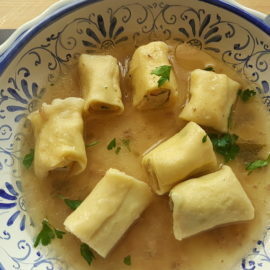 The pork rind and bones were used to flavour the soup. Today of course we don’t need to slaughter a pig to make it. Adding some good pancetta or lardons works well too! 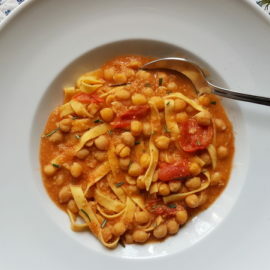 Although this soup takes about an hour to make, it’s easy to do and well worth the time spent preparing it. 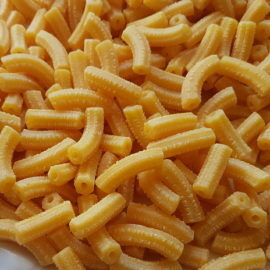 Different kinds of pasta can be added to the soup. Traditionally the Venetians use a homemade flat egg pasta cut into small retangular or diamond shapes or ditaloni rigati ( a short cut tubular pasta with a rough surface) to make pasta with beans. In some places they break spaghetti into pieces and add that to the soup. 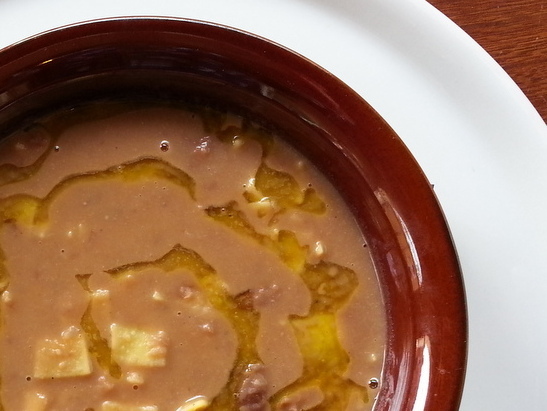 Whichever kind of pasta you use, I am sure this pasta with beans soup will become a regular favourite! It is certainly one of mine! 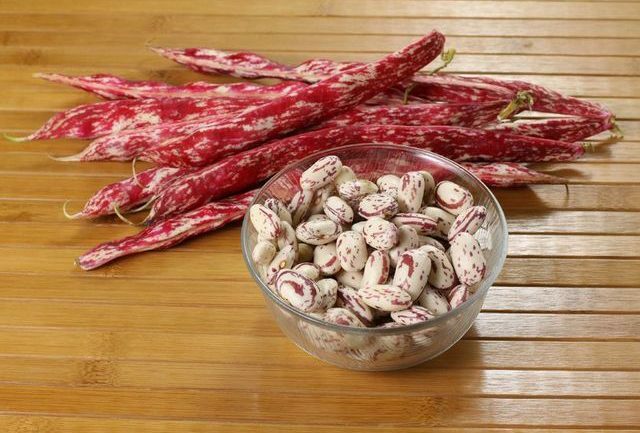 Borlotti beans are used to make pasta with beans soup in Veneto.